I’ve listened to reggae since 1997, and in these 15 years I’ve for some reason ignored UK roots and dub veteran Martin Campbell. 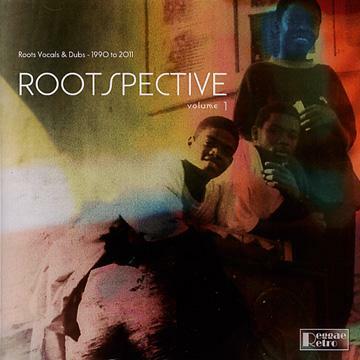 And now when I’m listening to Rootspective: Roots Vocals & Dubs 1990 to 2011 Vol. 1 – a compilation with some of his work – it’s hard to understand why I allowed this to happen. Martin Campbell is a British singer, producer, label owner, multi-instrumentalist and composer that started in the music business in the 70’s when he was living in Jamaica. Through the years he has worked with many roots artists, including Devon Russell, Tena Stelin and Neville Brown, and several of these singers are represented on this compilation with uncompromising roots-inspired early dancehall. The backing tracks almost sounds like the taking no prisoners approach of the Roots Radics back in the early 80’s. The 20 tunes collected here are vocals often followed by their dub version, and they were originally released on 7”, 10” and LP. Some have found their way onto CD for the first time and a few are also previously unreleased. Rootspective is a low key and minor key masterpiece with sparse arrangements with a dark trolls and goblins feeling to them. The bass lines and the drumming pave the way, while the singer, the guitar and the keys just follow the trail. This is an excellent introduction to Martin Campbell and his productions, and I’m sure I’m not the only one that will pay a visit to an e-tailer or a retailer to check out more of his output. Nice to see the CD reviewed, but one point, not all of the tracks were written & produced by Martin Campbell on this disc, although there is a lot of his material on there.